Inca Trail permits for 2016 are officially on sale! Dates for the month of May are almost completely booked and other months are filling up fast. Knowmad’s favorite accommodations in Cusco, the Sacred Valley and Machu Picchu Pueblo are also filling up fast. Don’t miss your chance to discover the lost land of the Incas; click the following link to get started on building your custom Peru trip and learn what sets Knowmad apart as an Inca Trail outfitter below. The elevation in Peru varies dramatically, so it’s a good idea to spend some time at lower elevation in the Sacred Valley to acclimate before you begin your trek. Follow this link for helpful information about Peru elevation, weather and more. If you begin your trip planning process now, you will have plenty of time to create the travel experience to Peru that you’ve been dreaming about. You may be interested in combining an Inca Trail trek with an educational community visit in the Sacred Valley or a culinary class in Cusco. 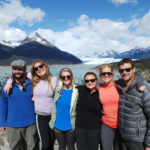 Take a look at a few of Knowmad’s Classic Trip Ideas that pair hiking the Inca Trail with exploring other regions of Peru as well, like the Inca Trail & Beyond Trip or the Peru Active Explorer Trip. 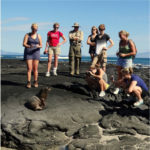 If you have any questions or are ready to plan a phenomenal adventure, write our trip specialists at travel@knowmadadventures.com or give us a call at 612-315-2894. 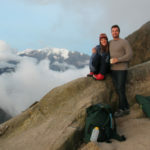 WHAT MAKES KNOWMAD ADVENTURES THE BEST INCA TRAIL OUTFITTER? Simply put, Knowmad has designed a unique route that is a four night five day approach to the Inca Trail hike with a night in a hotel in Aguas Calientes (town below Machu Picchu) included and then a return to the Citadel the following day. This means that not only are you able to see Machu Picchu both in the evening, when light is best for photos and when there aren’t crowds, but you’re also able to see in the early morning and have a well-rested full day to visit what truly is one of the world’s most stunning places. This contrasts the typical three night Inca Trail where crowds race to Inti Punko (Sun Gate) to see a sunrise that really doesn’t exist (Machu Picchu is in a cloud forest and the Citadel sits in the shadow of Huayna Picchu Mountain) and jockey to get a photo amongst throngs of hikers. This is the antithesis of what the spiritual pilgrimage on the Inca Trail is meant to be. Equally important, is that this itinerary structure allows us to avoid crowds throughout the hike. Our outfitter team is able to use smaller, more remote campsites in most cases. They have been handpicked and have very private and stunning locations. This means big views and serene nights on the trail, two things we hold in high regard here at Knowmad. All of our Inca Trail trips have a dedicated camp cook with years of trail cooking experience. Meals are most often cooked with the majority fresh ingredients that are locally sourced and organically grown. We even sun dry our own tomatoes! Expedition grade three-person tents for two people, shower tents, compostable toilet tents and full above-ground backcountry toilets, plush full-sized Thermarest pads, and both a cooking and dining room tent should the weather turn are just a few of the differences between our gear and most teams you’ll find on the Inca Trail and other Peru multi-day hikes. Waking up to hot mate and cookies along with a warm towel and a hot soapy (biodegradable) wash basin sitting outside your tent makes all the difference after a hard day’s hike. 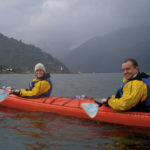 We do the little things that together make a big difference in your experience in Peru. Our team has years of building relationships with local indigenous communities that are employed in many faculties of the operation. In addition to our team’s social projects in Peru everyone from your head guide to porters is compensated above the government standards and the average of other operations. All members of the team are treated the same; with dignity, compassion and respect. It is the expectation that travelers extend this same treatment to our staff, and if that is not your intention we kindly ask you to work with another company. 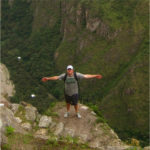 Nobody does the Inca Trail like Knowmad Adventures! 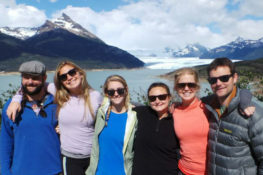 Our specialists in Peru, Machu Picchu, Patagonia, Chile, Argentina, the Galapagos Islands, Ecuador and Antarctica are eager to collaborate and create a trip as unique and authentic as you are, and our experienced South American operations team guarantees you get an insider’s perspective, superior values, and a flawlessly operated trip.